"UnityPoint Health Prescription Drug Safety Program Empowers Students to Fight Rx Drug Abuse," UnityPoint Health News, April 9, 2019. 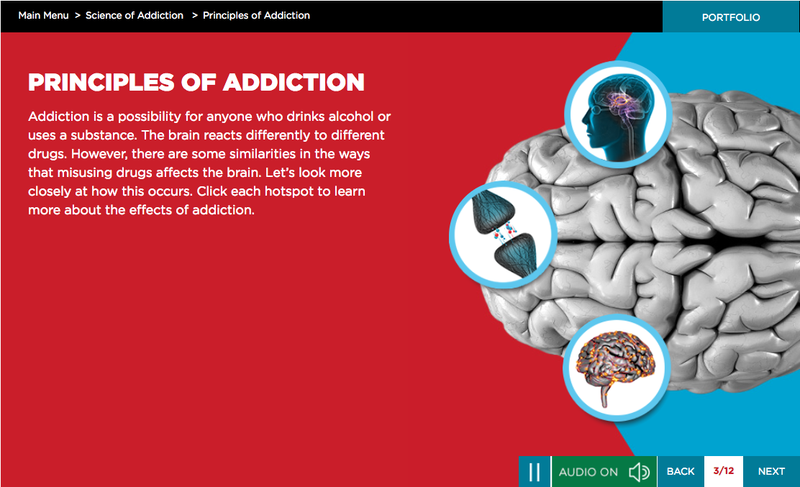 "From the Experts: UnityPoint Health - Des Moines Shares Alcohol and Drug Prevention Strategies," BlogRx (blog), January 2019. "Program teaches Roosevelt students about prescription drug abuse," Des Moines Register, October, 31, 2018. "UnityPoint Launches Prescription Drug Program at Roosevelt," Des Moines Public Schools (blog), October 29, 2018. "UnityPoint Health Sponsors Prescription Drug Safety Education Program," UnityPoint Health News, October 29, 2018. "UnityPoint Health announces sponsorship of prescription drug safety education for high school students," WHO-TV, October 29, 2018. UnityPoint Health is sponsoring a new education program for high school students about the dangers of prescription drug misuse and abuse, aimed at combating the national opioid epidemic. We are the first health system in the U.S. to join the Prescription Drug Safety Network, a nationwide coalition committed to empowering Americans with skills to make safe and healthy decisions about prescription drug use for themselves, their families and their communities. 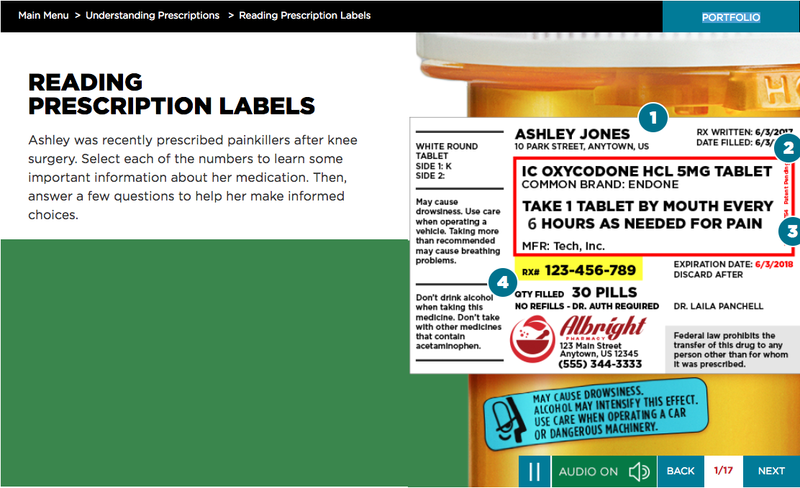 The new digital prescription drug safety course has been developed by EVERFI, a leading education technology innovator, with products used in 1 in 7 schools across the country. UnityPoint Health is providing the curriculum to select high schools in communities we serve across the state at no cost to the participating schools. Initially, UnityPoint Health will offer the program to area high schools in Central Iowa, Sioux City, Fort Dodge, Cedar Rapids and the Quad Cities, with plans to expand to more communities over the next two years. Prescription drug abuse has dealt a devastating blow to communities across the country, yet there are few initiatives aimed at positively preventing the abuse before it occurs. One hundred and fifteen people in the U.S. die each day from opioid overdose1, and 21 million have a substance abuse disorder.2 A long-term solution requires a collaborative approach. The Prescription Drug Safety Network brings together state officials, policy leaders, industry leaders, educators and community organizations committed to combating abuse by investing in prevention education. As the largest health system in Iowa, UnityPoint Health is committed to helping resolve prescription drug misuse and abuse with the goal of improving the health of our communities. We are working on the problem in many ways, including educating our physicians and clinical staff on safe prescribing practices, improving access to addiction treatment, and working with lawmakers on legislation that supports prescription monitoring. Now, through our involvement with the Prescription Drug Safety Network and its high school curriculum, UnityPoint Health is helping to provide prevention education as another important solution to help combat opioid addiction in Iowa. Every life matters – and keeping you and your family healthy and safe is our top priority. EVERFI, Inc. is a leading education technology company that providers leaners of all ages education for the real world, through innovative and scalable digital learning. Founded in 2008, EVERFI has certified over 16 million learners in critical skill areas with more than 4,300 partners in all 50 U.S. States and Canada. EVERFI is an industry convener that builds Networks to tackle the toughest social issues, including the Campus Prevention Network, a coalition of higher education institutions committed to campus sexual assault and alcohol abuse prevention; and the Financial Capability Network, coalition of industry leaders dedicated to improving financial outcomes for communities across the country. Some of America's leading CEOs and venture capital firms are EVERFI investors including Amazon founder and CEO Jeff Bezos, Good Chairman Eric Schmidt, Twitter founder Evan Williams, TPG Growth and The Rise Fund. Wide-ranging online data for epidemiologic research (WONDER). Atlanta, GA: CDC, National Center for Health Statistics; 2017. "Nearly 21 Million in US Have Substance Use Disorder: Surgeon General's Report," ABC News, November 17, 2016. The 2016 surgeon general's report was issued the same day. More information can be found on the Prescription Drug Safety National Network website.